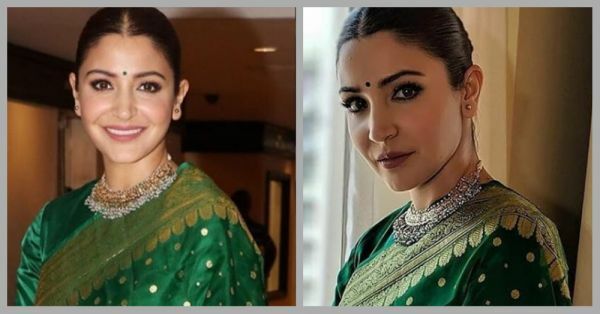 Anushka Sharma's Green Benarasi Saree Is Even Better Than What She Wore At Her Reception! When was the last time you saw Anushka Sharma in a gorgeous saree? It was on her reception when she donned a beautiful red banarasi Sabyasachi saree. A look that we couldn't stop raving about for months. 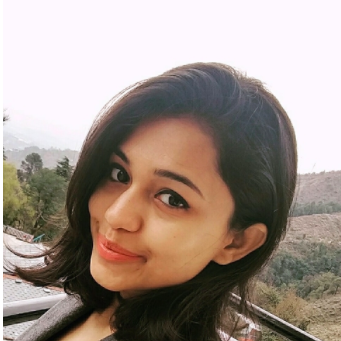 And yesterday, the Sui Dhaaga actress stunned us yet again with her traditional look. Anushka attended the 34th Anniversary Priyadarshni Academy Global Awards where she received the Smita Patil Memorial Award for Best Actor. Dressed in a gorgeous green Benarasi saree with a golden border, Anushka looked every bit of the stunner that she is. With her hair in a sleek bun, she accessorized her look with a gold choker necklace. For your first Diwali after the wedding, this is one look we're totally shipping!